The decade defining play heads to Philly! Go see The Sound of Music, as it will be unlike any you have ever experienced it. It's very hard to stand out in pop punk, and few bands know this as much as Mayday Parade; a group that has both been able to break the monotony of much of the genre and fall back into it as easily. 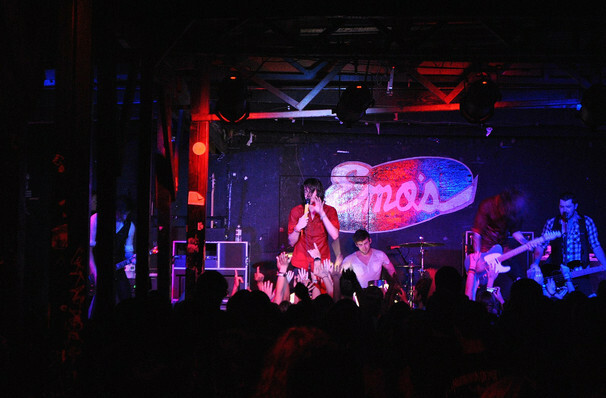 Formed from the ashes of Kid Named Chicago and Defining Moment, two celebrated Tallahassee bands, Mayday Parade's electric fusion of emo, pop and indie rock earned them a gold certification upon the release of their debut album A Lesson In Romantics. Thirteen years and five albums later, the sextet are gearing up for the mammoth North American 'Welcome To Sunnyland Tour' in support of their latest album Sunnyland, bringing along special guests William Ryan Key (former frontman of Yellowcard), Californian acoustic rock duo This Wild Life and rising rockers Oh, Weatherly on select dates. Positioning themselves as a staple on the pop punk scene thanks to their relatable melancholy and emotional depth, Mayday Parade returns on fine form with Sunnyland. Focusing on the concepts of growing up and the inevitable heartbreak that follows, the album and its makers stay relevant by doing what they do best - connecting with their fans by making music that's from the heart. As such, the rock show veterans' live concerts are cathartic affairs where the audience lets loose and sings every lovelorn lyric at the top of their lungs. Seen Mayday Parade? Loved it? Hated it? Help your fellow Philadelphia Theater visitors by leaving the first review! Sound good to you? 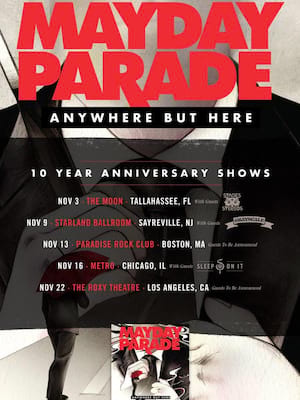 Share this page on social media and let your friends know about Mayday Parade at The Fillmore. Please note: The term The Fillmore and/or Mayday Parade as well as all associated graphics, logos, and/or other trademarks, tradenames or copyrights are the property of the The Fillmore and/or Mayday Parade and are used herein for factual descriptive purposes only. We are in no way associated with or authorized by the The Fillmore and/or Mayday Parade and neither that entity nor any of its affiliates have licensed or endorsed us to sell tickets, goods and or services in conjunction with their events.